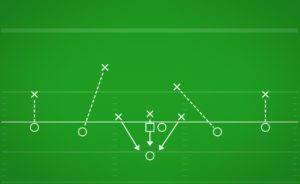 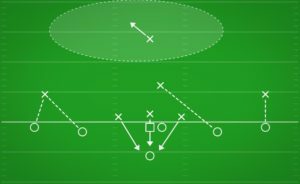 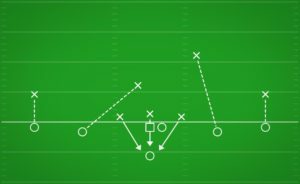 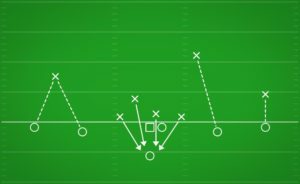 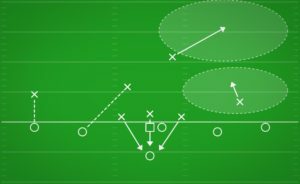 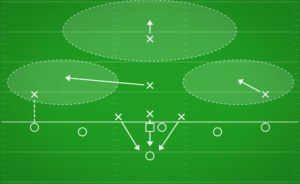 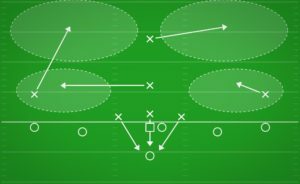 The most aggressive formation for flag football is the 3-1-1. 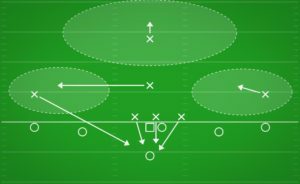 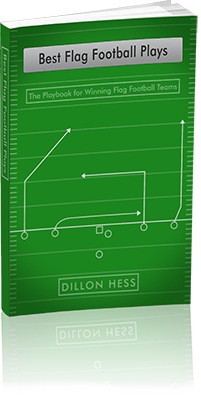 It devotes a full three players to the point of attack in order to create havoc in the offensive backfield. 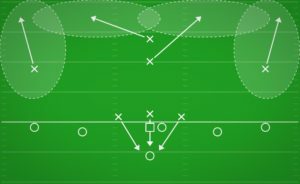 Any flag football Quarterback will feel threatened at the presence of three Rushers breathing down his neck. 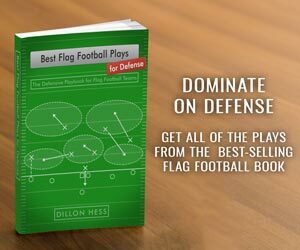 It can also allow you to create confusing blitzes. 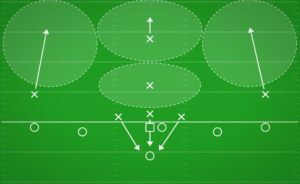 For example, maybe you do not actually blitz all the Rushers every play, but instead, randomly select one of them to fake a blitz and bounce back into a zone watching over the middle of the field. 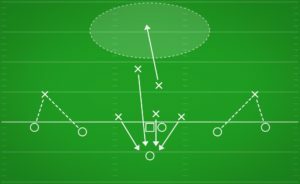 If you have great confidence in the athletic ability and the football IQ of your defensive secondary, then devoting three entire players to the blitz is a great way to keep the offense from getting comfortable, and may even result in more interceptions from errant throws under pressure.